It’s something that every creative has experienced and will likely face again: the feeling of being totally out of ideas. Inspiration comes to a halt, and starting or finishing a project seems like an insurmountable task. Writer’s block is discouraging and affects artists of every medium. Inevitably, whether you’re a musician or a creative in another field, writer’s block will occur at some point. While the following tips apply directly to musicians, the concepts outlined can be applied to any medium. The following are suggestions for rerouting creativity around artistic roadblocks. Many guitarists have talked about forcing themselves to write a melody or riff on a single string. The idea is that, by restricting your resources, it forces you to be more creative. At the very least, you’ll get your mojo back if you can pull off a great lick on one string. Options paralysis–too many plugins, too many virtual instruments, too many pedals, etc.–can bring your workflow to a halt. If you’re experiencing a bout of writer’s block, try limiting the tools at your disposal. In a similar way that using a single tool can minimize options paralysis, dabbling in something outside your norm can be creatively freeing, too. 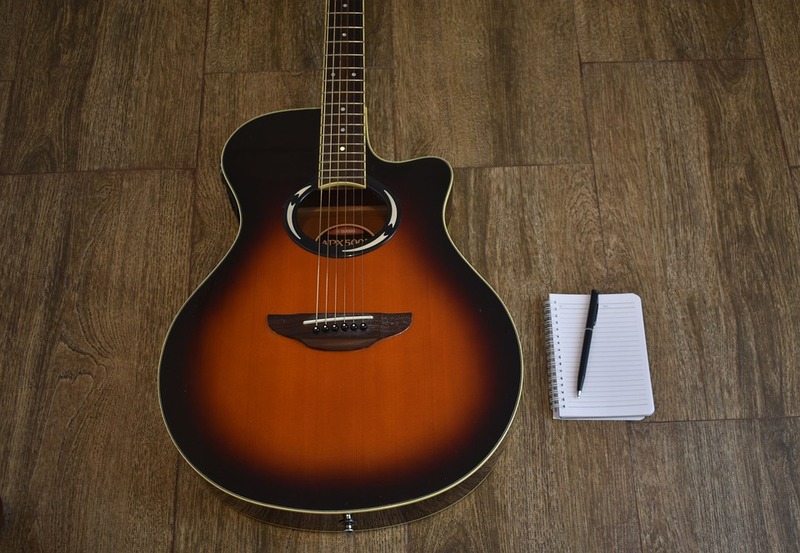 A lot of us end up with writer’s block somewhere along the line, regardless of what instrument we play. Sometimes our hands seem like they just can’t make anything sound right, at which point writing on another instrument can unclog the artistic pipes. If you mainly write on guitar, try a keyboard, whether physical or virtual. Similarly, any songwriter can experiment with drum programming in the DAW of their choice. With the quality of virtual instruments, it’s never been a better time to try out different sounds we wouldn’t normally use. This is a broader approach to beating writer’s block in the same vein as “picking up a different instrument.” If you’ve exhausted your creative resources in your main genre, step outside the box and try your hand at something else. Ultimately, it doesn’t matter what you decide to do. The idea is to simply get the juices flowing again to come back to the initial place you got stuck, and get past it. If country music is completely off the radar, give it a go. If you’re a diehard hip hop producer, see if you can come up with some rock riffs. Who knows–you might come up with something you can adapt to your main genre. Nothing beats writer’s block faster than regaining that creative spark. In most cases, listening to music you enjoy is a great way to reignite the flame! When you hear something you really love, it’s easy to begin imagining how you’d do your own interpretation of the idea. Don’t worry about being “unoriginal,” so long as you aren’t blatantly stealing melodies or otherwise! All art is derivative, and allowing your inspirations to flow through you is what lends itself to your individual voice. As much as we might hate to admit it, sometimes the most obvious tactics are the ones we forget the most. Writing a song can be an exhausting process, both mentally and physically. Long periods of sitting in front of the computer are taxing, especially if things aren’t going as well as we’d like. You won’t want to step away from the project when you’re in the zone and things are effortlessly coming together; but when writer’s block hits, stepping away for a while to recharge is sometimes exactly what we need. 6. Don’t Always Be a Perfectionist! As artists, of course we want to share the best possible version of our music with people. However, nothing can be a catalyst for writer’s block quite as much as perfectionism. Particularly in the early stages of songwriting, most of the time just getting it out is the best strategy. If you’re frequently stopping to nitpick or perfect a chord passage, melodic line, or lyric, you’re actively hindering the creative process and increasing the odds you’ll hit a wall. It’s good to let the initial inspiration flow and sort out the details later! It’s time for a personal anecdote! Working in a studio has opened my eyes to the importance of finding the spark in fresh environments. A successful bedroom producer, who recently finished overhauling his home studio, tore the whole thing down to rent a room in our studio. As he put it, working from home got a bit stale, and it was worth it for him to setup from scratch somewhere else. Whenever practical, removing yourself from your routine can work wonders for creativity. When the “flow” just isn’t there, going in with a gameplan and a clear end goal can be incredibly beneficial. For instance, you may start a session with the goal of writing a chord progression–just a chord progression. The following session you may begin to add melody, and so on. Rather than floundering or noodling around trying to come up with anything, sticking to a pre-formed plan might just help you come up with something. Sit down to write music as often as possible. Don’t wait for inspiration to strike; instead, be proactive and start the process on your own. You don’t have to write a masterpiece every time you work, so don’t let fear and perfectionism hold you back. Songwriting is like a muscle that develops over time with consistent usage. You wouldn’t want it to atrophy; make a schedule that suits you, and hold yourself accountable for working on music as often as you can manage. You’ll learn more about yourself and your process the more often you practice the craft, which can prevent future cases of writer’s block. If your skills are sharp, you’ll likely be more prepared to combat it in the future.